Manufacturer of a wide range of products which include nozzle mounted led light(rgb), ss body led underwater light, underwater led light, swimming pool light 6", ss body underwater led lights and led underwater light. With immense knowledge in the industry, we have gained proficiency in offering a wide range of LED fountain Lights that is widely used in various domestic and commercial areas. In compliance with the set industry standards, the offered light is manufactured using quality approved components and progressive technology at our end. We provide these lights in numerous designs and technical specifications as per the varied requirements of our clients. 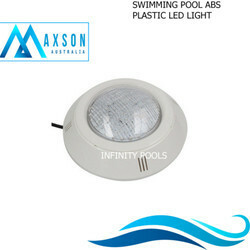 MAXSON stainless steel underwater light is made from SS 304 for durable use. It provide brilliant and various selection as LED series in multi-color for luxury life in your pools. This revolutionary, patented design uses a mounting hub and bracket instead of a niche. The light eliminates the need for pre-punched light panels, costly make up panels and extra plate It reduces installation cost and leak potential for concrete pools and massage pools. Only a 2.5CM hole in wall panel. Stainless steel face ring housing. Easy to maintain; Easy to install. One-year warranty (not including bulb). 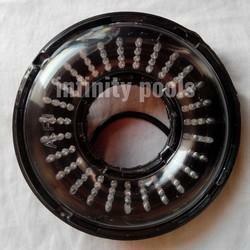 The Waterproof LED Light for swimming pool are the resin filled lights with high brightness. The lights consume less power and are capable of changing 16 colors. Manufactured using graded plastic, these lights offer longer service life of up to 1,00,000 hours and are used inswimming pools, public squares and fountains.